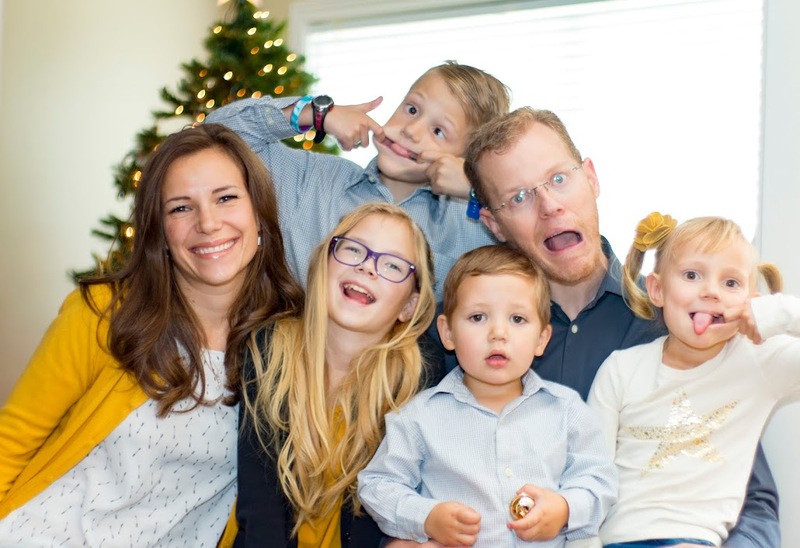 Our life is finally beginning to return to it's normal pace although Christmas is upon us and I'm not nearly as ready as I would like to be. We usually mail our cards out on Dec. 1 or shortly thereafter and we finally got them out today, after staying up all night to prepare them. Somehow, I misplaced our Rolodex with the address of friends and family. So this was the impetus for creating an electronic version to keep for future use. So, because of the rush, you won't be getting a hand addressed letter but a printed label instead. If you normally receive a card from us and don't get one this week, drop me a note. You're likely one of the few that I couldn't reach to get your up-to-date address. On Friday we attended our Ward (church congregation) Christmas party. We were able to meet a few more of our neighbors and to get to know other's better. 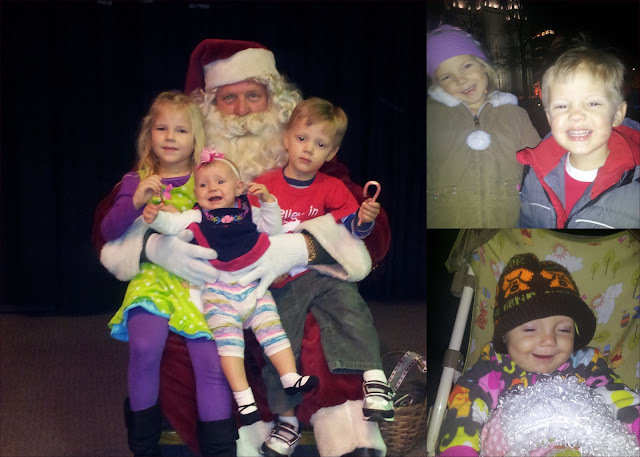 At the end of the dinner and skit the kids were able to get their picture taken with Santa. Emilia was used to it, Carson was a bit mistrusting. I half expected him to pull on Santa's beard. I think he agreed to sit on Santa's lap only because Emilia did it without hesitation. Stella wasn't having it. She just cried. So we snapped one photo and called it good. 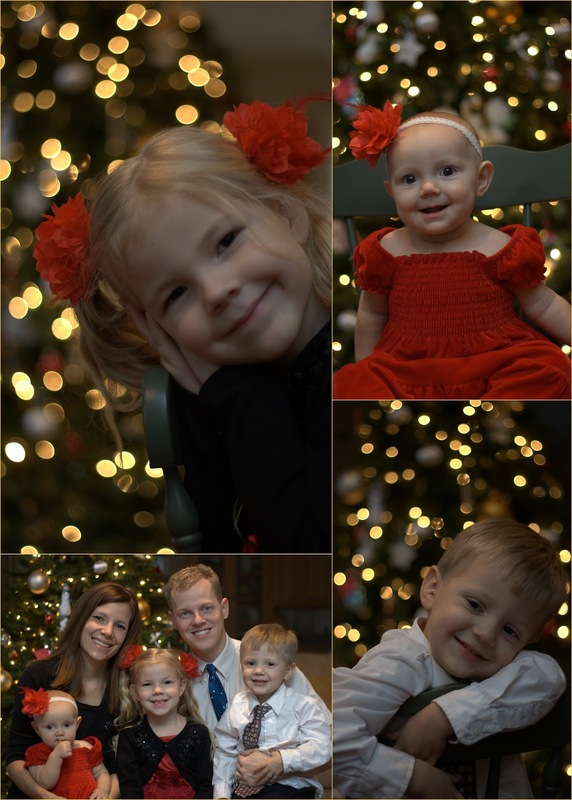 The previous weekend we took the kids to Temple Square to look at the lights. If you are not familiar with them, you need to look for photos or even a video on the Internet. The weather was really nice (mid 50's) so there were a lot of people enjoying the lights. Stella really enjoyed it. She was just grinning from ear to ear and loved everything about it. Carson's favorite part was the train ride (light rail train) from our car to Temple Square and back. Across from Temple Square is City Creek Center, a new, upscale retail development. After looking at the lights we decided to walk towards it's fountains. Near the fountain, there was a huge Christmas tree and an elf who was acting out a monologue about what was required to make it on Santa's good list. The girl elf was really talented and entertaining to watch. She would ask the kids' questions and tease the adults standing around to watch her. Emilia was really impressed by her. That is what she liked the most about our family outing. 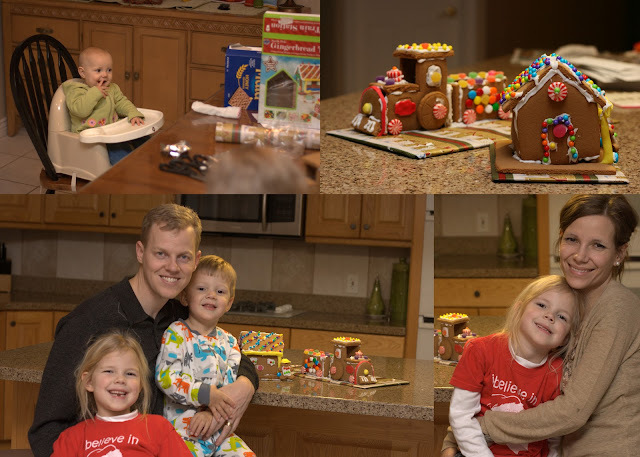 Last night for family night we sang Christmas songs and built a gingerbread house and train. This year we bought a kit. It is so much easier to do with young kids. The cookies are already pre-cut to the right shape and the frosting is already made to harden quickly so that the kids can focus on their favorite part: decorating. Stella was busy tasting the graham crackers and feeding the dog whatever didn't quite make it into her mouth. Only half of Carson's candy made it on his train. The other half he ate. Emilia kept trying to get Carson to stop eating the candy she was using to decorate. It was fun to watch the three enjoying themselves so much. This morning our friend Zig-Zag (the elf of the shelf) was sitting on the train's hopper car.